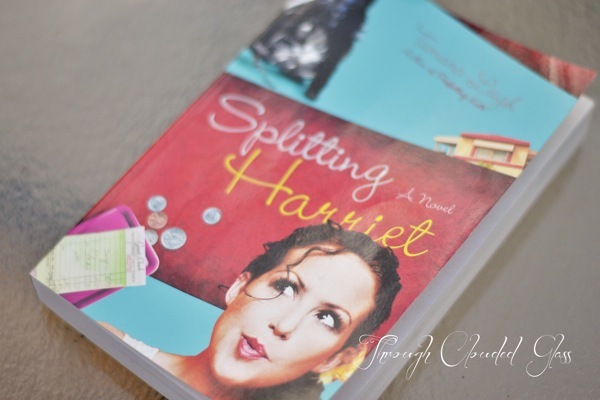 I requested Splitting Harriet by Tamara Leigh, just because it looked like it might be a fun book to read. Harriet is a former rebel, and she has no intention of going back to those days. As such she shelters herself by mostly hanging out with older people and staying far away from anything remotely rebellious. That is until her church hires a consultant who has a tattoo and drives a motorcycle and she has to learn to let down some of her walls and trust God to guide her. I was a little skeptical reading the back of this book, because I wasn't sure how the author was going to handle the "church politics" part of the plot, but I thought it was tastefully done. The older people in the story were lovable and loving to Harriet and encouraged her to step out of her comfort zone in healthy ways. I felt like the author kept a good balance in showing the benefits of older/younger church members, hymns/contemporary music, etc. without leaning too much one way or another or making one "side" look bad. I am looking forward to reading another one of Tamara Leigh's Christian novels soon! I need to catch up on posting my weekly pictures of the kids! 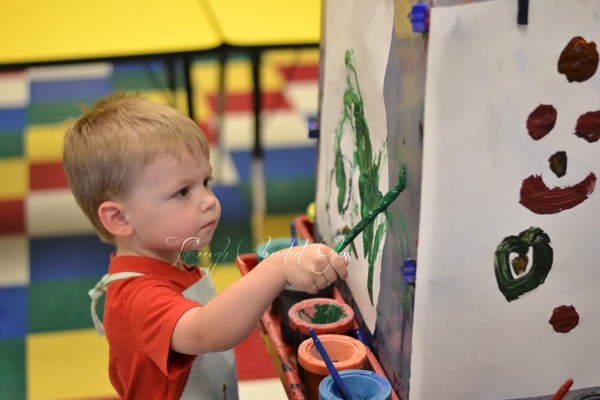 We have this fun little kid's center here, with jumpy castles and an art room. We went there with Derek's family last week, and Gwen was pretty content in her stroller while Wyatt focused on his masterpiece! I Promise Because . . . I'm on my last week of my Derek and Me series! I obviously miscounted, because this series was supposed to take us right up until our five year anniversary on July 12th. Oh well, I guess I'll just have to come up with something else for next week! I talked last week about the wedding vow "for better or worse", and everything that it could encompass. I can't pretend that it would be easy to stay together through any of that, and I know some couples have to go through some really hard things together. The hardest thing to deal with, I think, is when emotionally a couple just isn't there together. And that can happen. Many couples (maybe even most) may reach a point when it becomes really hard to want to make it work. That's why the divorce rate is so high. When I was trying to think about how I would finish the sentence this week, the phrases "I promise to keep my vows because I love Derek so much", or "I promise to keep my vows because Derek is so great," did initially come to mind. I think those kinds of phrases (or something similar) may be what most people are thinking when they say those vows to their spouse. Listing our spouses virtues may often be the initial thought when thinking "I promise because . . ."
And of course I do love Derek, and I do think he's great! I want to emphasize that, because I am married to an amazing man, and I feel so blessed to have him as my husband! I can't think of anyone else I'd rather spend my life with. But when I thought about it further, I realized that loving him and thinking he's great aren't the reasons I'm going to keep my vows. There may be times (in the midst of arguments or whatever) when I won't have those loving feelings toward Derek or when I don't feel like Derek is so great. If either of those things were the sole basis for my vows, it would be over right there, as soon as we hit a rough patch (and I think if you are married long enough, you will hit a rough patch at some point - probably more than once). But the vows didn't say I would love, honor, and cherish Derek, for better or worse, until I just don't feel like it anymore. The vows said "until death do us part". I promised that I would keep my vows because I love Derek, because I want to spend the rest of my life with him, but also because I believe God brought us together to bring more glory to Him. And I bring honor God and our marriage relationship by keeping those vows to be faithful and love Derek until death. I gave my word to Derek that day, and I did it "with God as my witness". I take that seriously. I'm not going to keep my vows because of anything Derek does or doesn't do in the course of our marriage. I'm going to keep them because I promised to love Derek, until we die. It's not about Derek. It's about me and my promise to him, in front of God. I'm not perfect either, and I can't guarantee that I'll always feel like keeping my vows, but I know that with God's help, I can keep my word. That's because I believe that true love isn't a feeling. True love isn't something that happens to you. True love is sticking with your spouse, even when it's hard. It's choosing to love them, even when they are sometimes unlovable. I'd like to say here I'm not just talking about my feelings toward Derek, I'm talking about his feelings toward me too - trust me, I can be pretty unlovable! And it means the world to me that Derek chooses to love me and stay with me anyway. That's true love. With God's help, we can stay true and be that old, wrinkled couple celebrating their 50th (or more) wedding anniversary. I know we can do it, because we both knew what we were promising that day. We knew we were promising through thick and thin. And we promised "in front of God" because we knew we wanted Him to be at the center of our marriage relationship. I think He's the best chance we've got to stay true to the words we said to each other on our wedding day. I'm glad we have Him on our side. Also, stop by my friend Rebecca's blog, and check out her "Simon and I" series! She's taking these questions and answering them for her honey too. If any of you want to use the questions, you can see the full list here - and let me know if you do, because I'd love to read your answers! Now you can link-up your kid's summer outfit below! 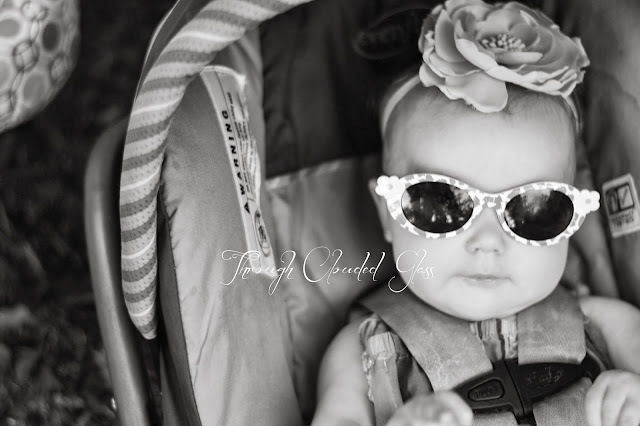 Feel free to linkup any post that has summertime pics of your kiddos! Can't wait to see all the cute outfits! 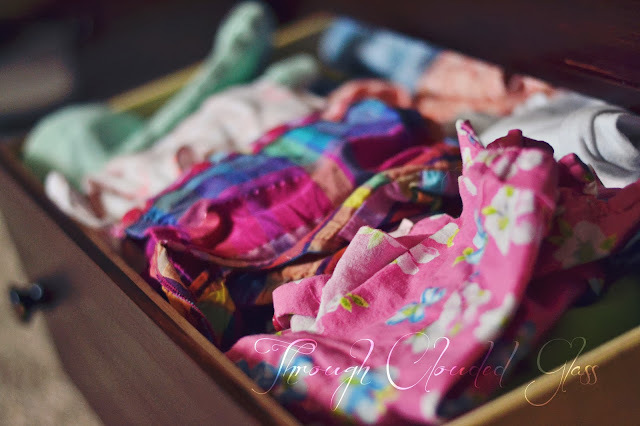 Welcome to the first week of the From My Kid's Closet linkup! The theme this week is "Summer"! I picked these two outfits because what says "summer" better than little boy muscle tanks and baby girl rompers? Can I just say it's really hard to get any good pictures of Wyatt right now? Especially when I'm trying to get a full-length clothes shot. The kid just doesn't stop moving . . . I got Wyatt's shirt from Children's Place (I think), the shorts from Crazy 8, the shoes from Target (size 8 - his feet are getting so big!). I love the orange shorts. They just scream "summer" to me, and I can mix and match most of his shirts with them. Little boys clothes can be pretty fun too, especially the mix and matchable items. I got Gwen's romper from Children's Place, and her headband and sandals from Target. When I bought the sandals I was debating between the colored sandals or the silver ones, and I'm so glad I got the colored ones! They are so bright and summer-timey, and they go with almost everything she has. If you're going for sandals, you might as well go obviously summery, don't you think? That's my philosophy. When I saw Dead Lawyers Tell No Tails by Randy Singer was up for review I was excited to read it. I had heard of Randy singer before and I've been wanting to read one of his books. I like the law mystery/suspense novels that I've read in the past, and I liked the idea of reading one from a Christian author. The book start out with Landon Reed getting out of jail after serving time for a point-shaving scheme he was a part of while playing college football. He is changed in prison, and decides to go to law school. No now will hire him until a criminal defense lawyer, Harry Mcnaughten, decides to give him a chance. But then lawyers at the firm start dying, and Landon has to dig deep to fin out what exactly is going on inside his new firm. You can watch the book trailer here, and if you'd like to check out the book before you buy, you can read Chapter One here! I really enjoyed this book! One of the reviews on the cover says Singer's books are "every bit as good as John Grisham", and I have to concur. The book was easy to read and kept me wanting to find out what would happen, and the ending was exciting and satisfying. It was also clean, which is what I would expect from a Christian author, but I appreciated that because some of the law fiction that I've read in the past hasn't been. Christianity wasn't the main focus of the book, but it was weaved into the story naturally, and I liked that. I'm thinking I want to look into getting more of Randy Singer's books now, and I'm excited that I found a good new author! If you are interested in learning more about Singer and his books, you can read an interview with Singer here, and you can also check out his website, as well as this author video. I was interested to learn from the interview that Singer is also a lawyer himself, and a pastor, which is an interesting combination! I'd definitely recommend checking out this book (or his other books too, I know I'm going to be checking into his other books). I think this would be a great vacation read! Note: I received this book for free from Tyndale in exchange for this review. This is my honest opinion. So I was browsing Twitter the other day, and I stumbled across a link-up about books! Yes! I don't think you all realize how much of a bookworm I really am. I love to read. There something very satisfying about turning the last page in a book. I love the smell of books. I love fiction. I love non-fiction. I like mysteries, suspense, romances, historical fiction, science-fiction, parenting books, marriage books, classic books, political books, Christian-living books. I just like books! So much so that I usually buy them faster than I can read them. Hence the ridiculous stack on my nightstand. My mom instilled this love of reading in me, and I'm hoping to turn my kids into readers too (as much as I can, because I think there's a genetic component). I'm well on my way with Wyatt - I'm always catching him reading something, and when he sees me reading he'll grab one of his picture books and sit on the couch to read with me. Needless to say, this linkup was right up my alley, so I thought I'd participate this month! Right now I'm reading Outbound Flight by Timothy Zhan, which is a Star Wars book! You are probably laughing at me, but if you knew how deeply Star Wars runs in the blood on both sides of our family (mainly through my brother and Derek's brother, and my dad who introduced us to Star Wars), you would understand that reading the books is not unusual. 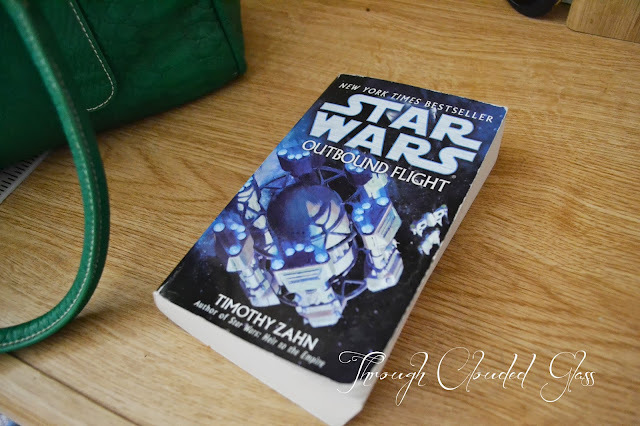 This is the second Star Wars book I have read this year, and I have to say they are really interesting books (at least the two I've read), and they are easy to read. What is your favorite book character, and why? Anne of Green Gables comes to mind, and Emma from Jane Austen's book. Why? Because they are so not perfect (one of my pet peeves are characters that are too perfect), but they have good hearts, and they learn from their mistakes. I like my book characters to show growth. If they don't grow at all its just boring. Um...this would be a lot easier if I had some crazy life story, but I don't. Not yet anyway. Um...sheesh, I think I just want to hear all of your answers to this question! Comment below if you have a good one. Maybe it'll give me an idea. You be the director! Cast your favorite book characters for the movie version that has not yet been made. So I tried to think of an answer to this question, guys, I really did - but I only know the names of a handful of actors, so I have a very limited mental inventory from which to draw. This is why I am not a movie director! Plus I'm struggling because most of my favorite books have already been made into movies, and I have a hard time thinking outside the box once a character has already been cast . . . I also form pictures in my head of what I think the characters look like, and unless I see someone who looks exactly like the picture in my head I have a hard time seeing it. I will say that I think the actors they got to play Bilbo Baggins in LOTR and The Hobbit looked pretty much exactly how I pictured him. But every other book-turned-movie character I've ever seen has taken some mental adjusting. There's a reason I wasn't meant for the movie business. What book or series do you remember reading in elementary or middle school? There was this series I read that was called the American Adventures series. It was basically a kid's series about kids who lived in different periods of American history and their stories, but it was generational - so the kids in one book were the parents in the next book. It was really interesting, and I loved those books! They were $4 each, and every time I came into a little extra money I'd head down to the bookstore and buy the next one. I was determined to buy them all, but about halfway through someone loaned me the rest of the series. I told myself I would still make sure to complete my collection, but I never did. Now I think I need to go back and buy the rest for my kids! It was really an interesting way to learn American history, and I think it'd be a good tool for homeschooling in the future too. I went through a lot of searching before our wedding to splice together the best version of our wedding vows. I wanted to say the traditional vows because I love how strong all the words are. I think the part that means the most is "for better or for worse . . . until death do us part". It seems cliche to pick that part, but it's one of the most well-known wedding vow phrases for a reason. "For better or worse" encompasses everything - everything you can go through as a married couple. And there are so many things that can go wrong. You can lose a house, lose a job, lose a child. You could have a disabled child or parent that you will take care of together. One or the other of you could become seriously disabled or lose mental capacities or have some other serious condition or disease. For better or worse means you'll stick with each other through all of that, come what may. I think it also covers the "better and worse" feelings you may have for each other. Because even though you love each other (and your love can grow deeper the longer you're married) you're not always going to feel "lovey-dovey" toward each other. Sometimes you'll drive each other crazy. You'll have arguments. You'll sometimes get into a funk and not feel connected to each other at all. "For better or worse" means staying together through the hardest stages of your relationship, even when "the better" seems far away. Because you believe that eventually the better will come back, and you're going to stick with it until it does. For better or worse until death, encompasses everything, and it means the most. That's why I knew I wanted that classic little phrase in our vows. It's classic for a reason. So we finally got our vacation plans finalized, and in early July we are going camping! -We are going to be tent camping, which believe it or not, I've never done before. We always had an RV growing up. I was slightly worried about how Wyatt would like it, but then I remembered that he loves the play tent that my mom and dad set up for him at their house. We set up our tent in front of our house so that Wyatt can get used to it before our trip, and he was pretty excited when he saw it. -We're taking an air mattress and the pack-and-play for Gwen. I'm not quite sure yet if Wyatt will be sleeping with Derek and me on the air mattress, or if we might bring a little cot for him. I need to pack everything into the tent and see what looks like the best plan. -I think Wyatt will *probably* be okay sleeping in the tent since Derek and I will be right there, but I am pretty worried about Gwen. She hasn't been the best sleeper for the last month anyway, and my biggest worry is that she won't sleep at all in the tent! I think maybe we need to do a couple nights in the pack-and-play so that she can practice sleeping somewhere other than her crib before we go. -We are going to try to pack a lot of our food so we don't have to spend so much money buying food on the way. But we probably won't be able to have a campfire. It's been pretty dry around these parts this year, and we've had several fires already. -I told Derek that we must camp somewhere where there is a bathroom and a shower. I'm not one of these get-really-dirty-and-answer-the-call-of-nature-in-the-woods camping types. -We will be attempting to pack the tent, cooler, sleeping bags, lawn chairs, pack-and-play, suitcases, and other paraphernalia in our tiny little SUV. Someone suggested we bring Harvey for protection, and though I know he would be a good guard dog, I'm pretty sure there is no way we can fit him in too. -I'm thinking through my clothes right now and trying to decide what things I wouldn't mind getting dirty. I'm also trying to be strategic and bring as few clothes as possible, while still hoping to look cute. Is that even possible, to look cute (and maybe even a little stylish) while camping? We shall see. -I think it was Natalie who suggested packing kid's outfits in zip-lock bags, complete with shirt/pants/socks/shoes so you don't have to go searching through everything while on vacation. I think this is brilliant. I am slightly worried about making sure to bring enough clothes for the kids while not over-packing though. I just never know when one of them is going to make a big mess all over their clothes! I think we might be camping at a couple KOA's though, and they have washing machines, so I guess that's an option. Bottom line: I'm going to be doing a lot of testing things out and preparing over the next couple weeks, but I think it should be a fun trip! Have any of you been camping with a baby or toddler? Any advice for me? Categories: Fun Stuff, Vacations and Trips, What Do You Think? From My Kid's Closet - New Link-Up! Note: I apologize if the FMKC link-ups from the last few weeks are showing up for a second time in anyone's readers, I had to adjust a few things in the past link-up posts. That sometimes causes them to show up again! Is it just me, or is almost more fun to dress kids than it is to dress ourselves? It's not just me, right? Sure, it might take a little searching to find kids' clothes that are just right, but when you do they are so cute! I honestly think I could put anything on my kiddos and they'd look pretty much adorable, but I'm a little biased . . . I'm excited to announce that for the rest of the summer I'll be co-hosting a bi-weekly kids' style link-up with my friend Allison, from Sweatpants and High Heels! 1. Every other week we'll have a different outfit/style theme, so just post something related to kids' clothes within the theme. 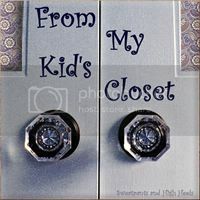 You can post pictures of your kid(s) in a related outfit (we are including all ages from infant to age 12), or post pictures of items you like for kiddos from your favorite stores. Even if you don't have a child just yet, browse through some baby clothes online and join in! Kids' clothes vary just as much as adult clothes do, so I'm excited to see everyone's style. 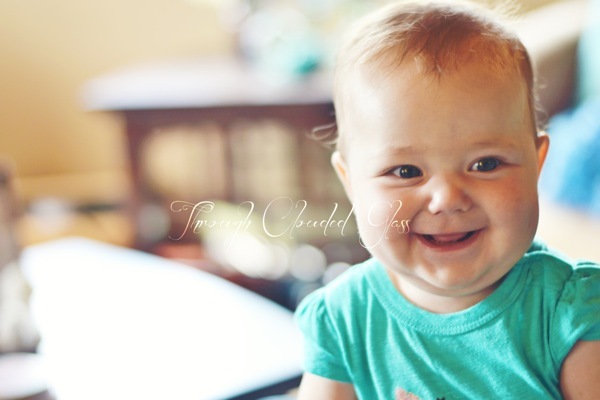 I'm excited about this link-up - I'm excited to see everyone's styles and find some new places to shop for my own kids! Pick out your favorite summer outfit from your kid's closet and come show it off next week! Last week was my birthday! It was a great day. After work Derek had this whole setup ready for me! He bought us Chinese food for dinner, and after we ate we opened presents and ate my yummy chocolate cake. We also watched a movie together after the kids went to bed, and it was a nice relaxing evening. Then he took all of Gwen's feedings that night, which was a great birthday present too! Wyatt has really been realizing what birthdays are all about more, and he always sways back and forth to the birthday song. Before we put him to bed he started singing "Happy Birthday" to me! 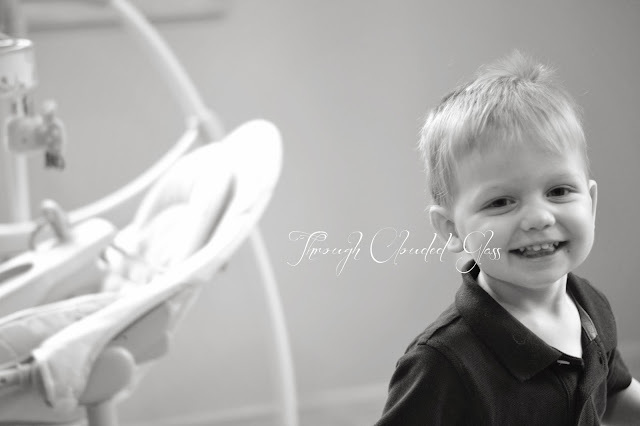 It melted my heart to here him sing "Happy Birthday Dear Mommy" in his little two year old way - it was precious. Definitely made my birthday special! On Saturday, Derek's brother watched the kids while we went out to dinner and a movie, which was fun, because it's been forever since we went out on a date. We saw "Man of Steel", and we enjoyed it! I think Superman is my favorite DC Comics superhero. Sunday was obviously Father's Day, and we had a good day! Derek ended up working on our porch on Father's Day (it was pretty rotted out) because he had his brother there to help him. We celebrated together in the morning though by opening the present "from the kids" - a Joe Gibbs Racing hat that Derek wanted and a cup that we made for him! A couple weeks ago when we went to the pottery studio with Ashley? I put the kids handprints on a coffee mug for Derek - it turned out really cute, with the little smudged handprints! Since Derek was going to be outside working most of the day, the kids and I went to a Father's Day picnic with my dad's side of the family, and it was nice to be able to see my dad on Father's Day. We had a good time at the picnic with my parents and sister though, and Wyatt was fascinated with the ducks and geese on the pond - I had to keep a close eye on him to make sure he didn't run over there without an adult! I put barbecue chicken in the crockpot before we left, so we had a good dinner for Derek when we got home. I think we're going to have to plan a separate day to do something fun for Derek and see Derek's dad too, since things kind of got complicated this year, but It ended up being a nice Father's Day! I'm so thankful for all the men in my life - Derek, my dad, and my father-in-law. They are the best! I'm proud of Derek for so many things, but one big thing that makes me proud of him is what a great dad he is! He loves both of our kids so much, and works so hard to provide for all of us. Wyatt just loves hanging out with Derek, and it warms my heart when I see Derek and Wyatt playing with Wyatt's cars (his favorite things right now). And Derek is so cute with Gwen - you can tell she has him wrapped around her finger! He is an amazing dad, and there is nothing like seeing the kids look at him with their bright eyes, like he's their favorite person in the world. I'm so thankful they have such a great example of a godly man to look up to. Happy Father's Day weekend, Babe! Sometimes I just don't want to blog. Sometimes I want to take a long bath and make my hair look all pretty and paint my toe nails. Sometimes I want to sit out in the sunshine and try to get my legs to tan. I don't usually tan - I burn. But I slather on the tanning oil and sit out in the sun anyway in the hopes that I can at least get enough color to not look like I never leave my basement. 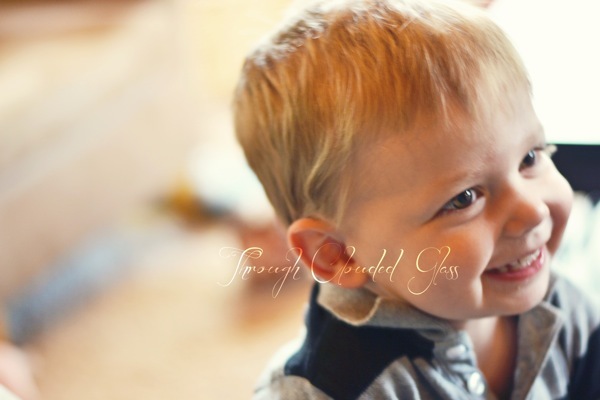 Sometimes I want to chase my kids around the house with a camera, tickle Gwen to hear that belly laugh just one more time, or jump around the house with Wyatt pretending to be Tigger. Sometimes I just want to hang out with this guy. Sometimes I want to clean and organize my house, and I feel so much better when I do. Sometimes I want to go do something with a friend and get myself and the kids out of the house. So sometimes, when I don't blog . . . that is why. Sometimes you have to give the blog a back seat to this lovely thing called life.